Hey, look at that -- Verizon employee training materials that prominently feature the HP Mini 1000. That's exactly what we predicted after we heard the two companies were talking about offering subsidized 3G laptops last month, and while we won't congratulate ourselves too much, well, we told you so. Sadly, there's no pricing on these slides, but we'll go out on a limb and say it won't blow minds when it's finally released. Hit the read link to check out the rest. 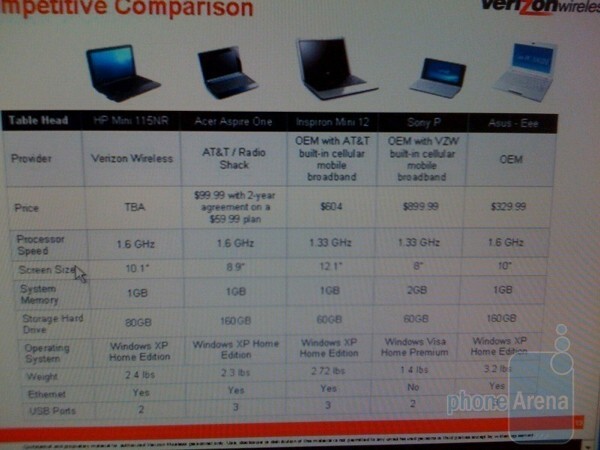 Verizon's subsidized HP Mini 1000 leaks out originally appeared on Engadget on Fri, 17 Apr 2009 15:38:00 EST. Please see our terms for use of feeds. April 17, 2009 by Ben Pike.